SEATTLE – The U.S. Coast Guard Cutter Midgett, a 378-foot cutter stationed in Seattle, hosted a group of Naval Sea Cadets, based in Tacoma, Wash., and held a burial-at-sea ceremony honoring the lives of two retired Coast Guardsmen during its five-day transit from Seattle to San Diego, which ended Friday. 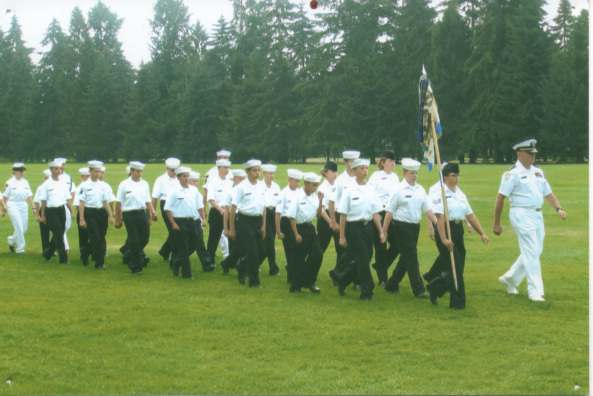 The six Naval Sea Cadets, of the Tacoma Hornet Division, were invited to sail aboard the Midgett and hone their underway seamanship skills during the ship’s voyage. 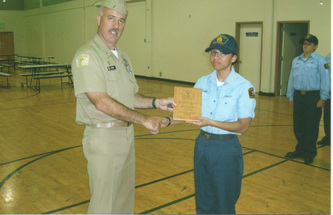 The cadets, ranging in age from 14- to 16-years-old, also took part in damage control, weapons and machinery training. “It’s an opportunity for us to get them excited about underway life and the experiences that the Coast Guard can provide them,” said Lt. j.g. 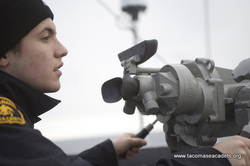 Sean M. Dolbow, a deck-watch officer aboard the Midgett. “They’ve never been underway before so this was a great experience for them,” said retired Navy Warrant Officer Roger P. Olsen, the cadets’ instructor. The cadets were also present for two burials-at-sea during a ceremony on the cutter’s flight deck just before sunset, Thursday. The ceremony honored Evereste A. Black, a retired Coast Guard Senior Chief Petty Officer, and Keith V. Crump, a Coast Guard Petty Officer 3rd Class and WWII veteran. 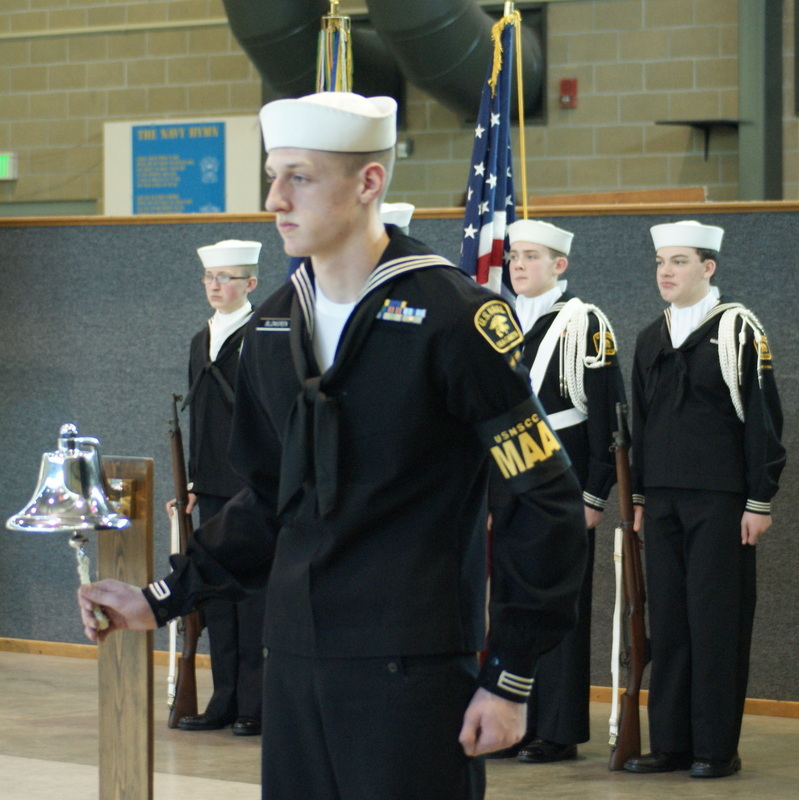 The service featured readings from three of the ship’s crewmembers, including a benediction from Cmdr. 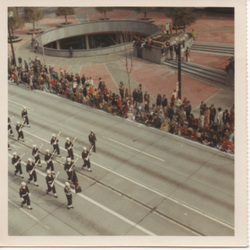 Daniel Pickles, the Midgett’s executive officer, and a 21-gun salute. “It’s a really meaningful way to honor our veterans, said Stephen P. Fainer, a deck-watch officer and ceremonial coordinator aboard the Midgett. “ This ceremony is symbolic of memorializing our return to nature,” Fainer said. 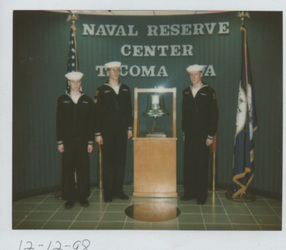 Black’s son, Bradley Jay Black, a retired Senior Chief Petty Officer, was present and acted as the urn bearer for his father. The ceremony concluded as the last note of taps played and the Midgett regained its course and speed, en route toward San Diego. YOUNG PATRIOTS. Members of the Hornet Division of U.S. 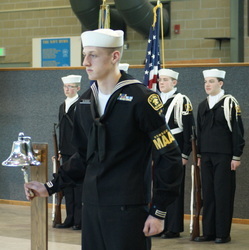 Naval Sea Cadet Corps presented the colors during the ceremony. 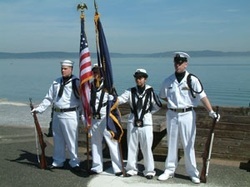 Local history buffs gathered at Jack Hyde Park on Armed Forces Day, May 17, to recognized the centennial of the Great White Fleet's visit to Tacoma. The fleet consisted of 16 new U.S. Navy battleships. President Theodore Roosevelt sent them on a 14-month voyage around the world. They arrived in Tacoma on May 27, 1908. Roger Olsen, secretary of the Tacoma Council Navy League, explained how the fleet fulfilled Roosevelt's goal of increasing the size of the U.S. Navy and making America a modern sea power. Mary Olsen, president of the council, delivered a brief history of the fleet. It left Hampton Roads, Virginia, on Dec 16, 1907. The ships were painted white, except for gilded scrollwork on the bows. After reaching the West Coast, they sailed north toward Puget Sound. The fleet split up into four groups at Port Angeles. Eight of the ships continued on to Tacoma. Mayor Bill Baarsma called the fleet's journey a display of America's "power, pride and prestige." The fleet powered into Commencement Bay led by its flagship, the U.S.S. Connecticut. "Tacoma wanted to be ready and at its best," Baarsma said. Downtown businesses did not open until 1 p.m. so employees could watch the grand spectacle. "It was quite an extraordinary event." The fleet's journey marked the first use of wireless communication by the Navy, which Baarsma said did not work as well as hoped for. Despite that small setback, the Great White Fleet did much to further America's standing in the world. After it arrived in Egypt, word was received of an earthquake in Sicily. The sailors went to the aid of the Italians in their time of need. "It was widely considered one of the greatest peacetime achievements of the U.S. Navy," Baarsma said of the worldwide journey. 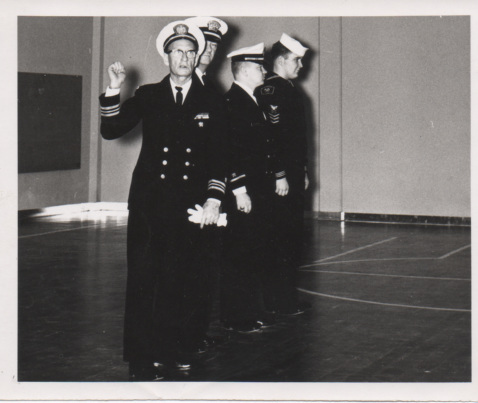 Lieutenant Commander Robert W. Thomas, executive officer on the U.S.S. Maine, presented Baarsma with a commemorative coin. The mayor gave him a print of some of the ships of the fleet.